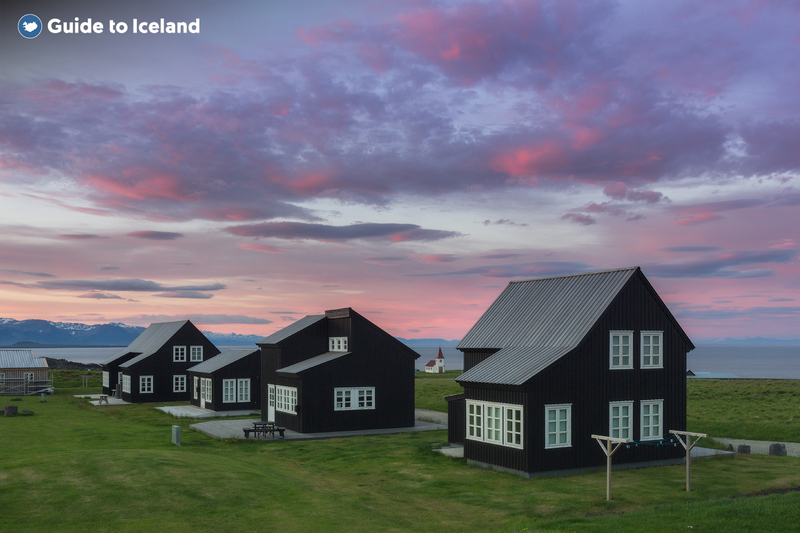 Set off on the adventure of a lifetime and spend 11 days visiting the Golden Circle, Reynisfjara black sand beach, Jökulsárlón glacier lagoon, Lake Mývatn, and Snæfellsnes Peninsula. This summer package is a great fit for travellers looking to immerse themselves in the wonders of Icelandic nature, witness the midnight sun and get to know the culture with the guidance of experienced locals. Over eleven days you will have plenty of time to take in gorgeous views of glaciers and mountains, hot springs and waterfalls. 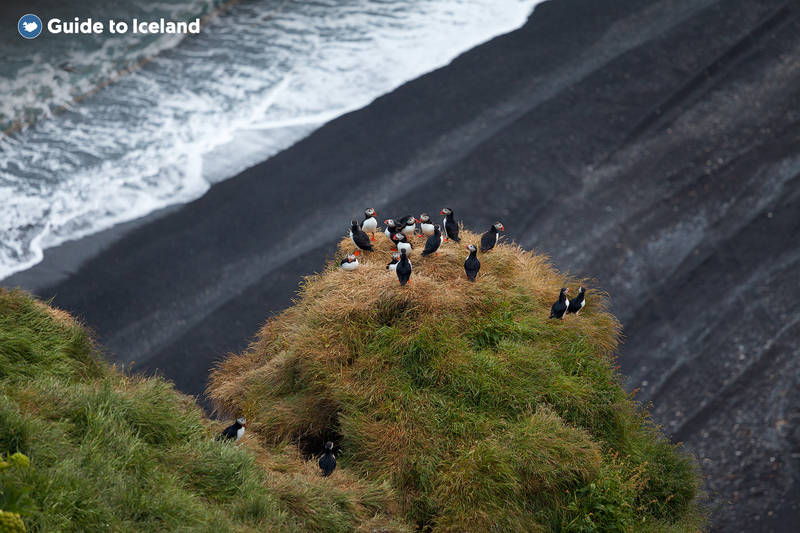 You'll witness the wildlife of Iceland, seeing Icelandic horses in the field and perhaps spot a puffin or two nesting in coastal cliffs. In addition to the complete circle of Iceland, you finish the trip exploring Iceland's capital, Reykjavík. If you wish to make this already memorable trip even more exciting, you can add on tours to your holiday. 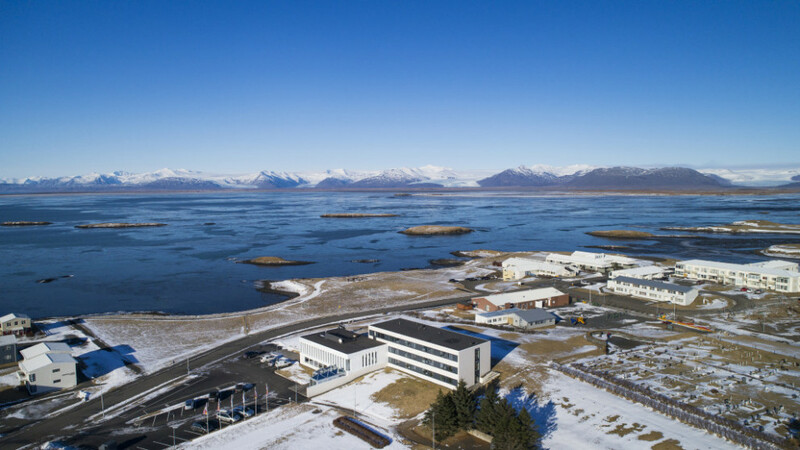 You can go glacier hiking on the South Coast, sail between icebergs on Jökulsárlón glacier lagoon, visit the Blue Lagoon, and step inside a lava cave on the Snæfellsnes Peninsula, just to name a few. Book this immersive 11-day package to experience the best Iceland has to offer and make memories that will last you a lifetime. Check availability by choosing a date. Those arriving on a Sunday will join a 7-day half circle tour instead of the 8-day version. Don’t worry though, the Snaefellsnes sightseeing will be included as a day tour from Reykjavik. 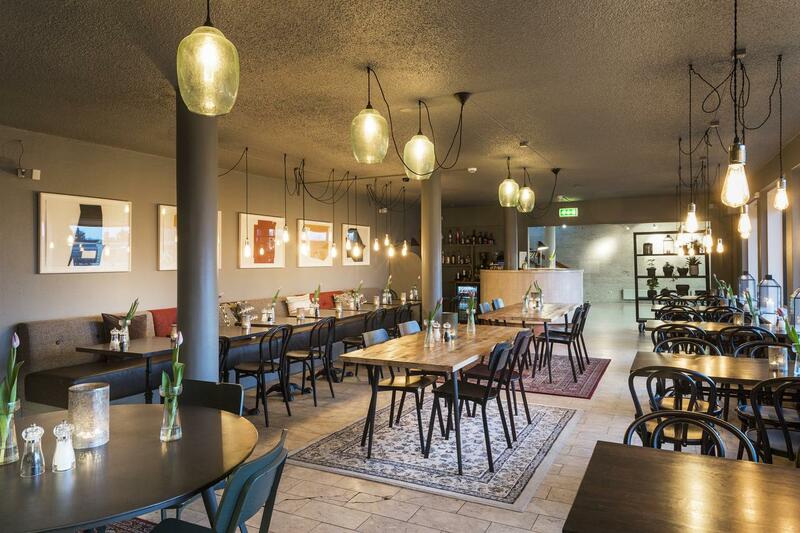 You’ll lose a night in rural Iceland but gain a night in Reykjavik to make up for it. Please note that the boat tours on Jökulsárlón are only available from May to October. Welcome to the land of the midnight sun! 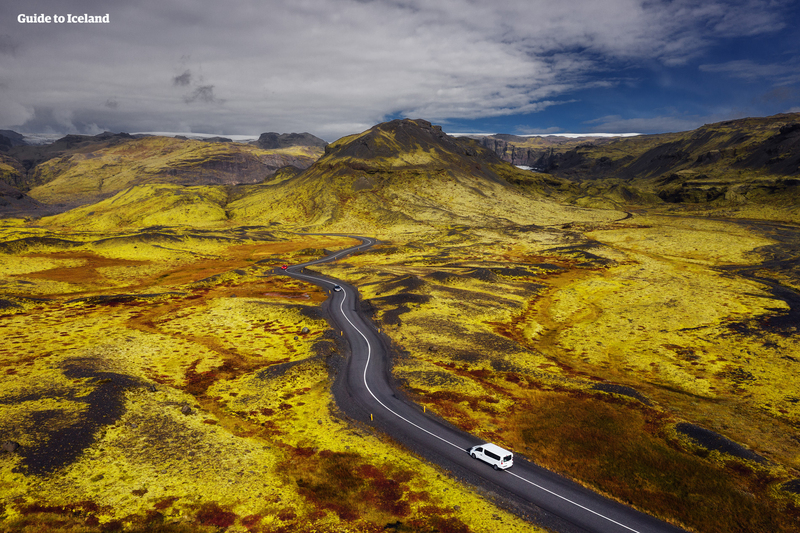 Your first order of business upon arrival will be to hop aboard a bus that will transport you from Keflavík airport, past the mystic lava fields of the Reykjanes peninsula, and into Reykjavík city. If your flight arrives before 3 pm you have the option to start your adventure right away with a dip in the Blue Lagoon. There is no better way to recover from air travel than indulging in the geothermal wonders of this picturesque natural spa. Add tickets to the lagoon during the booking process and start unwinding as soon as you land. If, however, you are eager to get to the city, you can save your Blue Lagoon trip for another day. 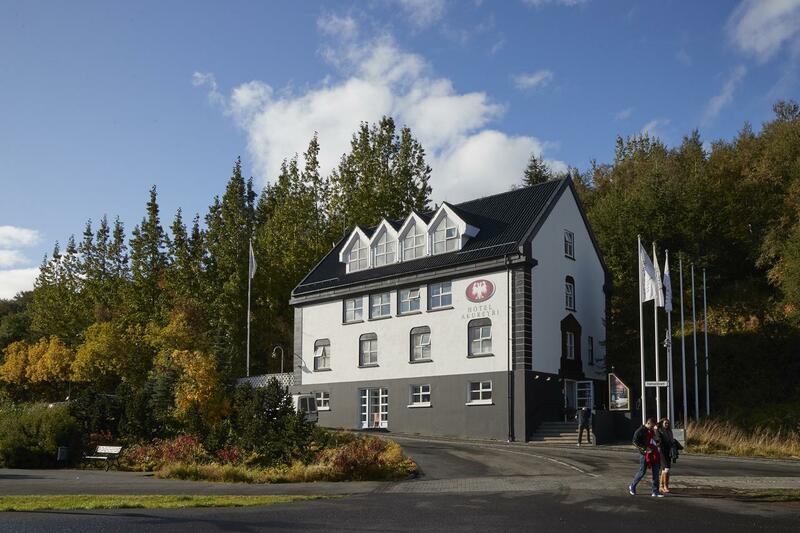 You will have free time upon arrival in Reykjavík to settle into your accommodation and see some sights. This northernmost capital city in the world has an abundance of restaurants, museums, galleries, cafes, quaint streets and interesting buildings and the Midnight Sun allows you to sightsee late into the night. Exploring the city centre on foot is a great way to spend a bright summer evening. You could stroll down to the harbour, past Harpa Concert Hall and along the sea to popular photo opportunity spot by the Sun Voyager sculpture. Now is when the adventure really begins! 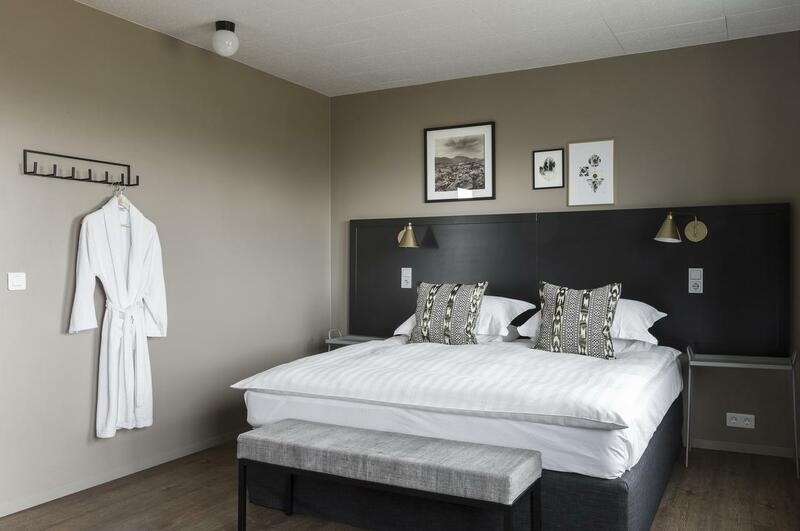 In the morning you will be picked up in Reykjavík and your guided tour will start with the classic Golden Circle, Iceland’s best-known sightseeing route. You'll start at Þingvellir National Park, the original site of Alþingi, the Icelandic parliament which was founded by Vikings in 930 AD. In the area’s more recent history, the park’s moss-covered lava formations were used as a location for the HBO series Game of Thrones. At Þingvellir, you can walk between continents as the park is neither located on the Eurasian nor the N-American tectonic plates, but in a rift valley between. 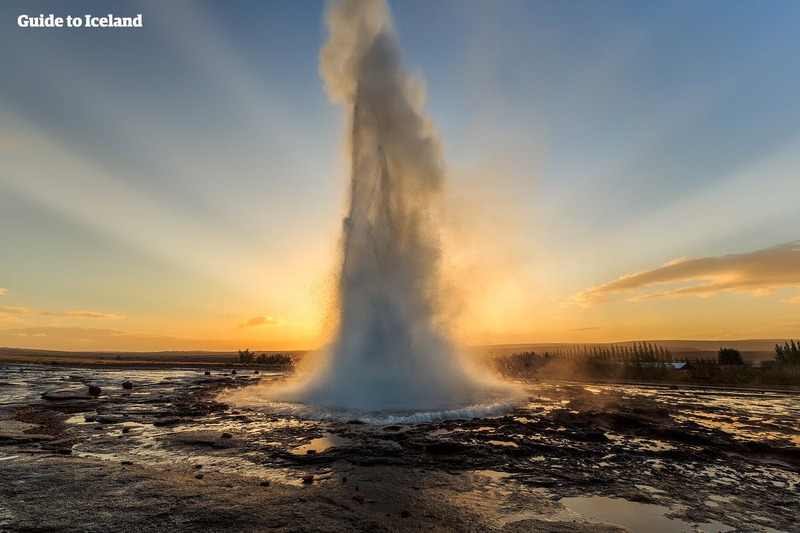 Then you will be driven a short distance to the Geysir geothermal area where you will find the geyser Strokkur which is known to erupt every 5-10 minutes. Make sure to have cameras ready when the hot spring shoots a jet of boiling hot water as high as 25 meters in the air. Last but certainly not least in the Golden Circle trilogy is Gullfoss waterfall. A vast amount of glacial water plummeting down the 32-metre high rockface burrowing down into the Gullfossgljúfur canyon below is a spectacular sight. 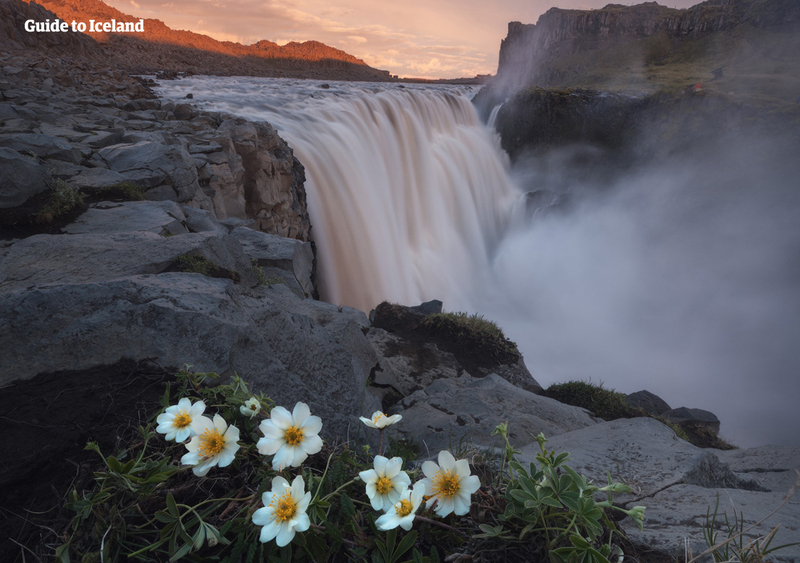 A favourite among photographers, the ‘Golden Falls’ can be captured from a number of angles. During the booking process, you can add a horse riding tour to this day. 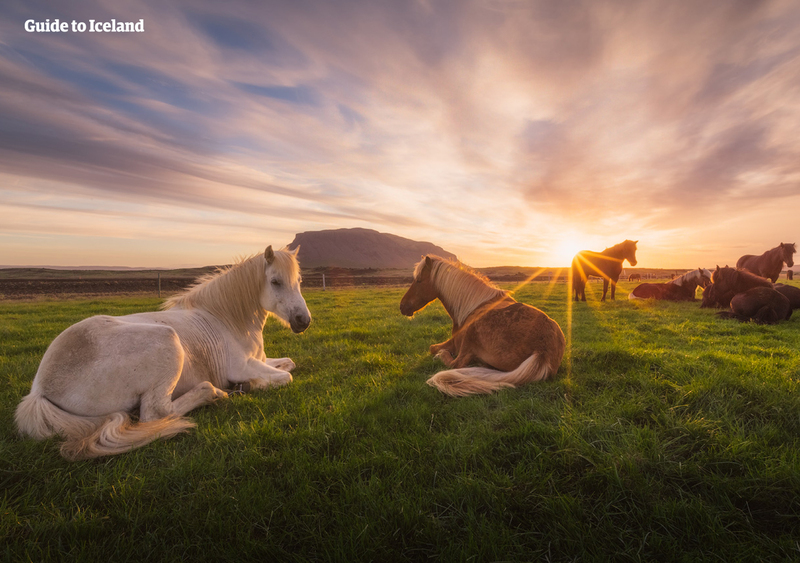 The Icelandic Horse is a unique breed and the southern lowlands are a gorgeous place for a ride. Icelandic horses are small and friendly, so this tour is suitable for inexperienced riders and horse enthusiasts alike. 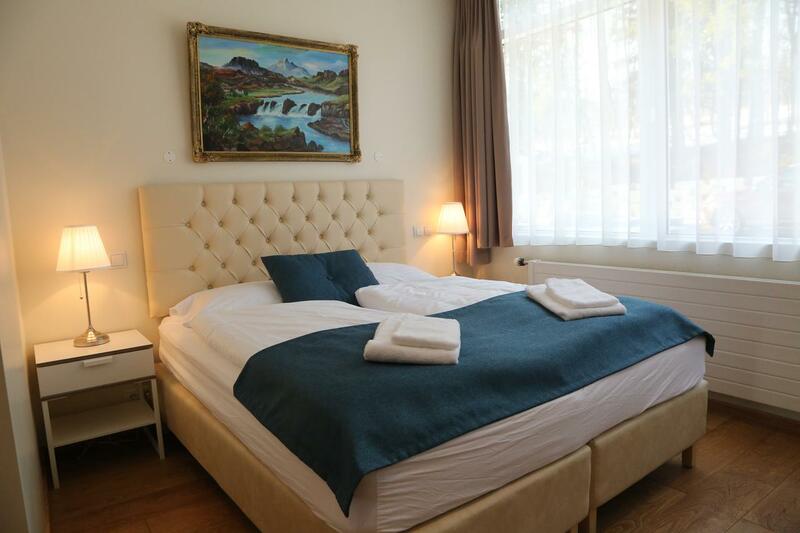 Your second day in Iceland will end at your cosy accommodation in the area. There you can relax and prepare for the next day of exploration. Today you will continue your journey along the breath-taking South Coast. 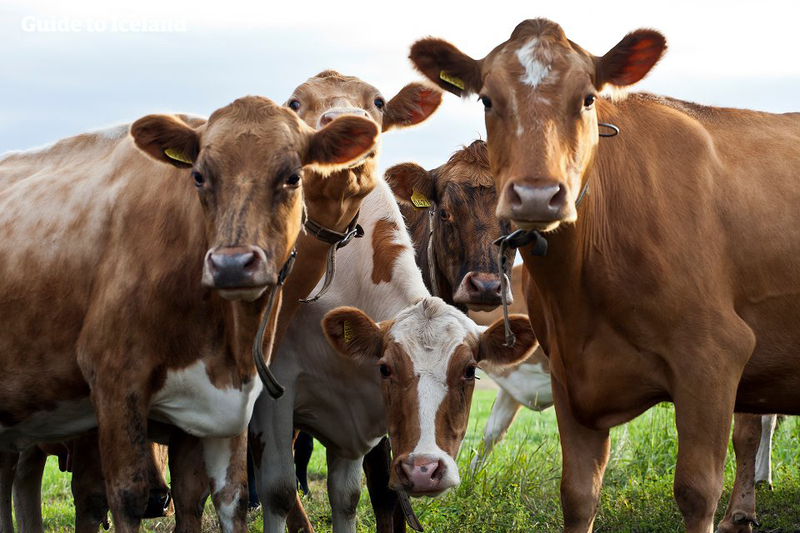 The route provides a diverse mix of views including mountains and glaciers, the Atlantic Ocean and fields where cows and sheep can be seen roaming. No doubt your waterfall appetite was whetted by Gullfoss the day before and it’ll surely be quenched on day three. You’ll see two majestic waterfalls which both measure over 60 meters tall. 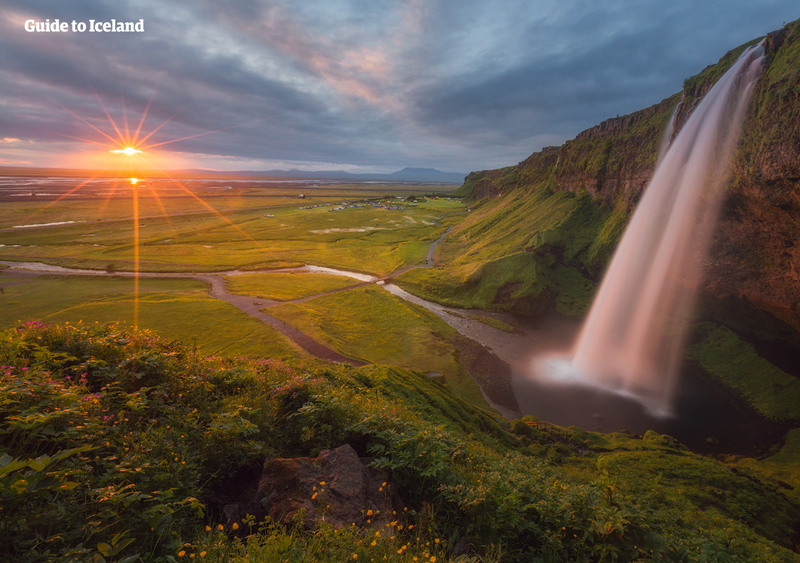 One is the compact Seljalandsfoss which has a footpath that allows visitors to walk behind the curtain of water. 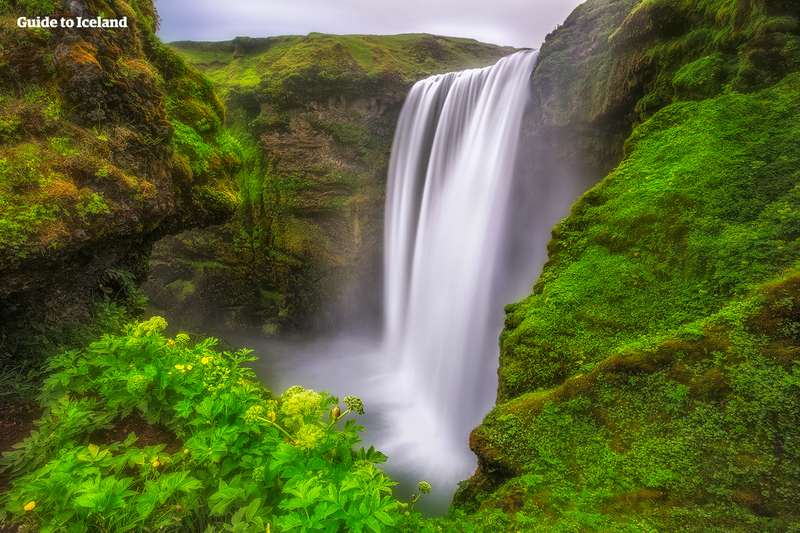 The other is the bellowing Skógarfoss which sprays a mist far over the surrounding area. Continuing along the coastline you will encounter Reynisfjara Black Sand Beach. This dark beach and the looming lava-formation, Reynisdrangar, might ignite your inner gothic poet, or at the very least provide some Instagrammable photos. To add an exciting adventure to your day, choose the optional glacier hiking. You’ll be provided with crampons, an ice axe and a helmet before you scale Sólheimajökull glacier. This one is not to be missed, there is nothing quite like taking on the elements and exploring the frozen landscape. You’ll have quite the tale to tell when you get home. At the end of your South Coast exploration, you can have a well-earned rest in your accommodations near the village of Vík. 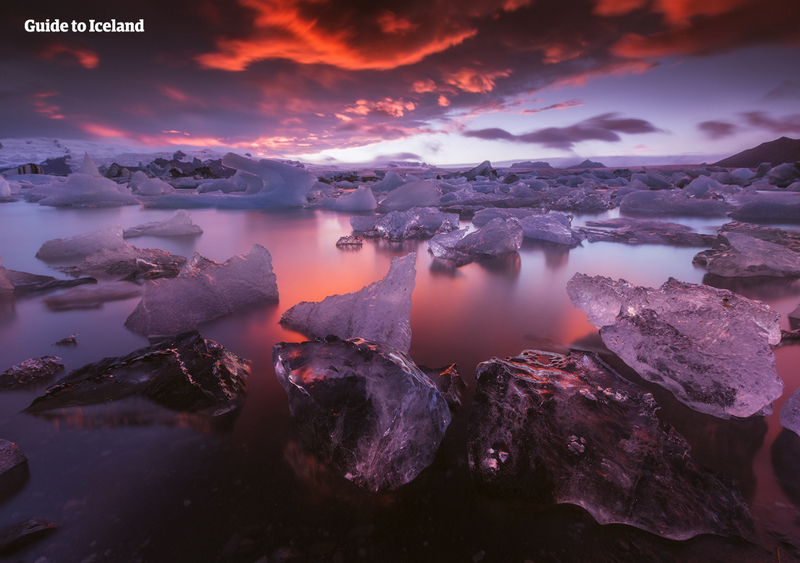 Day four’s main attraction is the ‘Crown Jewel of Iceland’ Jökulsárlón Glacier Lagoon. It is, however, not the only precious sight of the day. 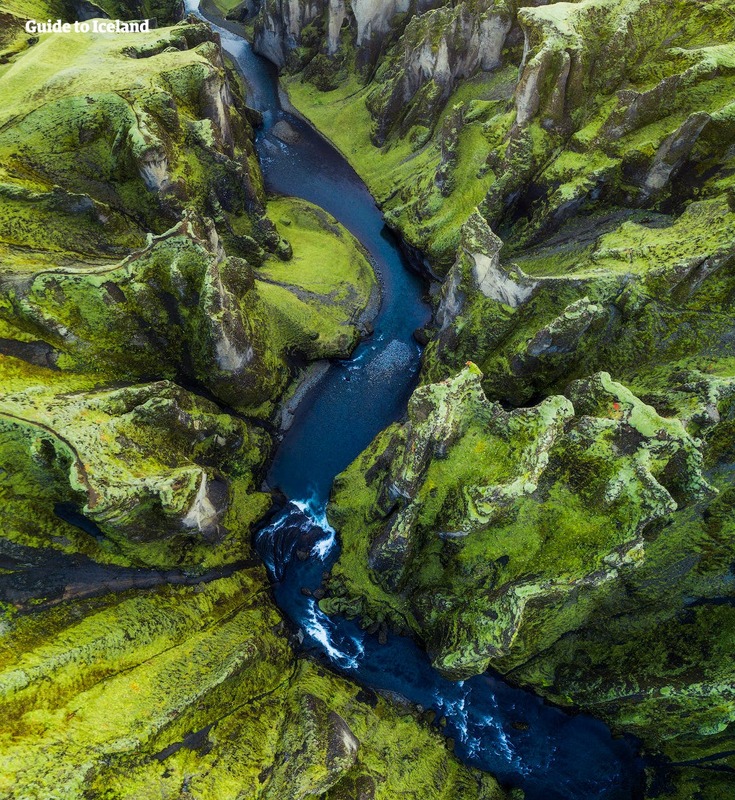 In and around Vatnajökull National Park you will see stunning landscapes created by the mighty Vatnajökull glacier such as black sands, rivers of glacial water and some of the country’s highest peaks. Jökulsárlón Glacial Lagoon is a spectacular thing to behold. Icebergs which have broken off from a nearby glacier floated on top of the tranquil lagoon, creating a display of blue and white shapes. The grandeur of the location seems to go unnoticed by the relaxed seals that hang out on the banks of the lagoon. If you are travelling between May and October, you can elect to take a boat ride on the lagoon for a unique view of the icebergs and sail between the giant, natural ice sculptures on Jökulsárlón’s mirror-like surface. 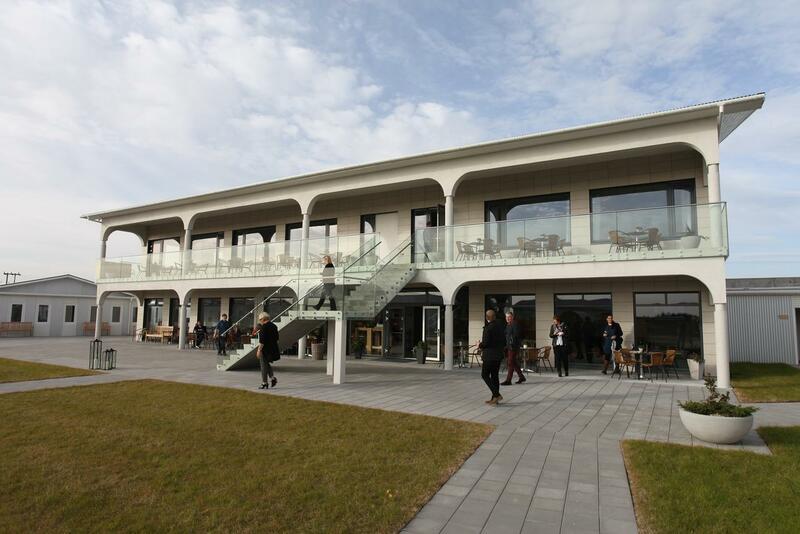 A short distance away the Diamond Beach awaits you. There, the beautiful icebergs have washed ashore creating the illusion of gigantic diamonds laid out on the pitch-black beach. Truly a wonderful sight to behold, and to photograph. In the evening you will go to accommodation in the Jökulsárlón area. On this day you’ll have plenty of time to feel the tranquillity of nature. The Eastfjords are visited less than the rest of the country, which makes them quieter. You’ll drive along the part of the Ring Road which weaves in and out of the beautiful fjords in the East. Your guide will show you some of their favourite spots along the way. The Eastfjords are full of texture, with mountains looming over rugged coastlines. The area is also the only part of Iceland where reindeer roam free, perhaps you’ll be lucky enough to spot one. Your travels in the East will take you to Lagarfljót, a lake with a secret. Legend has it that in the water there lives a monster, Lagarfljótsormurin, a worm creature similar to the one said to dwell in the Scottish Loch Ness. Sightings of the worm date all the way back to 1345 and up to this decade. So keep your cameras at the ready, you might prove the myth to be true. While in the East you’ll also be able to see Hallormsstaðaskógur, the biggest forest in Iceland. Iceland is not known for wooded landscapes, there aren’t many to be found, which makes Hallormsstaðaskógur unique. It is an appealing place for hiking, bird spotting and picnics. Hallormstaðaskógur is not too far from Egilsstaðir, the largest town in the eastern region of Iceland. 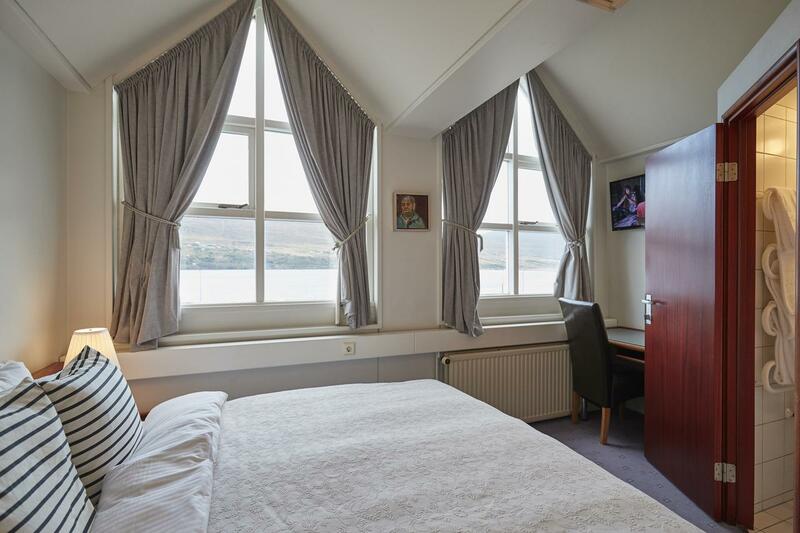 Your accommodation for the night will be in a lovely town in the Eastfjords. Further exploration of East Iceland as you move towards the North awaits you on day six. You will be seeing Dettifoss waterfall, Ásbyrgi canyon, the town of Húsavík and Lake Mývatn. These attractions are referred to as the Diamond Circle, a sort of the north-eastern equivalent of the Golden Circle you saw down south. First on the list is Dettifoss, an incredibly powerful cascade which boasts the greatest volume of any waterfall in Europe. This 44-metre high waterfall has featured in films such as the Ridley Scott's movie Prometheus, but its true magnetism can only be felt by visiting it in person. The second location visited on this day is Ásbyrgi, a luscious canyon shaped like a horseshoe. Specifically, this shape is said to have been left there by Odin's eight-legged horse, Sleipnir, from Norse Mythology. The canyon is 1.1 kilometres wide, 3.5 kilometres long and has cliffs up to 100 metres tall towering over it. After Ásbyrgi you will go to Húsavík, a quaint fishing town. With a little over 2000 people living there year round, Húsavík just about manages to reach the population to be considered a town rather than a village. Yet, it very much looks like a cute, little village. In Húsavík there are many interesting places to visit, including Húsavíkurkirkja, a wooden church dating back to 1907, as well as Húsavík Whale Museum and The Exploration Museum. The final stop of the day is in the Mývatn region which is named after a gorgeous lake surrounded by stirring landscapes. You will visit Námaskarð pass, a geothermal area by the Mountain Námafjall, where white pillars of steam rise into the air and give the whole region a Mars-like look. If you wish, you can end of your day unwinding at the Mývatn Nature Baths where you can admire the surrounding volcanic landscape. Add entry during the booking process, the water’s healing properties might be just what you need at your trip’s half-way point. 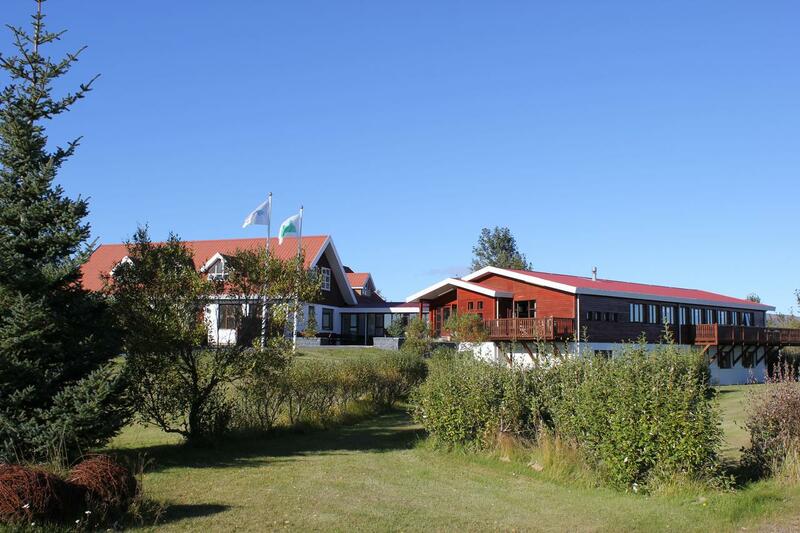 Your place to rest will be in accommodations near Lake Mývatn. Close to Mývatn is Dimmuborgir, an area full of jagged rock formations reminiscent of a witches lair from a frightening fairy tale. 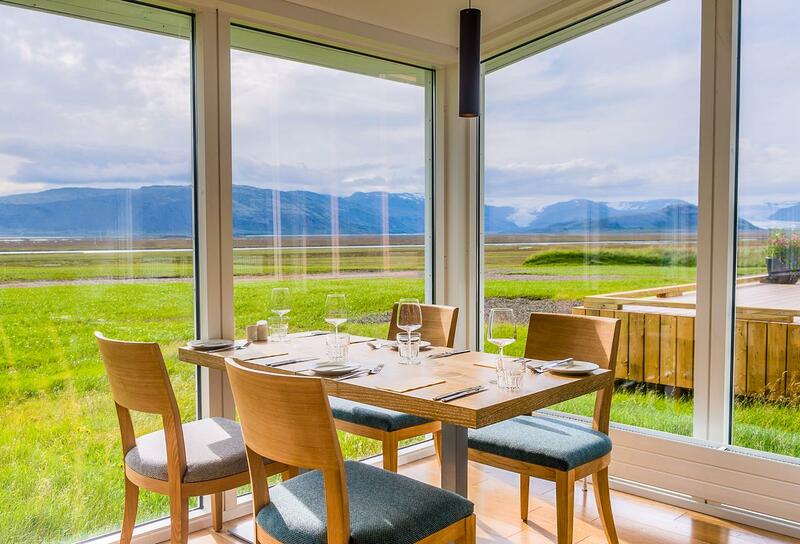 This is where your seventh day in Iceland begins. It is no wonder that this spooky place, known as “The Black Fortress”, has a lot of folklore attached to it. Some believe trolls reside there, others think it is home to elves. When Christianity found its way to Iceland some even believed it is where Lucifer landed when he was cast out of heaven. From Dimmuborgir, you will move on to Goðafoss, a waterfall renowned for its historical significance as well as beauty. It is said that when Icelanders converted to Christianity in the year one-thousand, a chieftain in the area cast his statues of the Norse deities into the waterfall. That’s how the waterfall gets its name, 'the waterfall of the gods'. The rest of the day will be spent in Akureyri. You’ll have free time to roam around this charming Northern town, which has many distinctive sights to see. 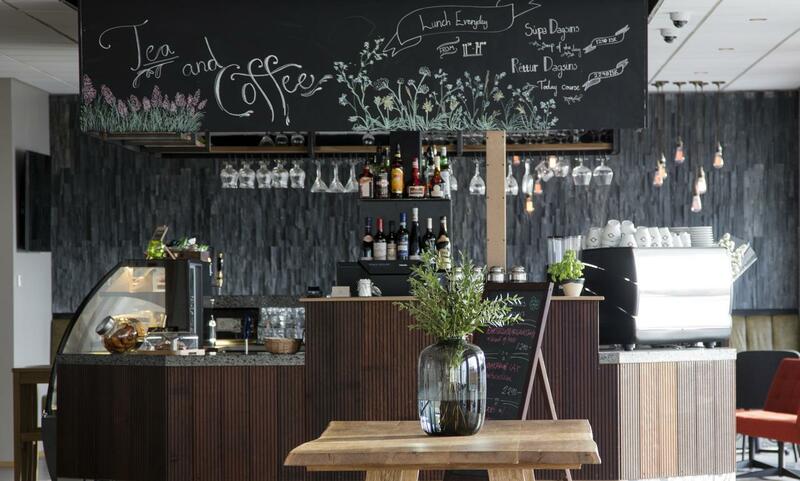 If you fancy a calm day, there are plenty of cafés found in town. You could also take a dip in the local pool, followed by a trip to the legendary Brynja ice-cream store. If you are looking for more adventure, you can choose to take to the sea on a whale watching tour. The waters just offshore are filled with these gentle giants, from Minke Whales to Humpbacks to Harbour Porpoises. 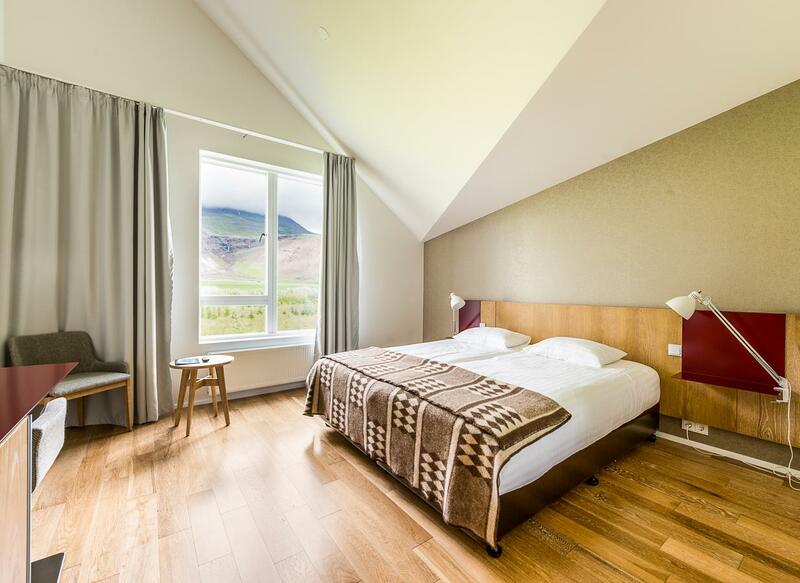 The night will be spent in or near the town of Akureyri. Before leaving Akureyri, you can choose to take to the sea on a whale watching tour. The waters just offshore are filled with these gentle giants, from Minke Whales to Humpbacks to Harbour Porpoises. 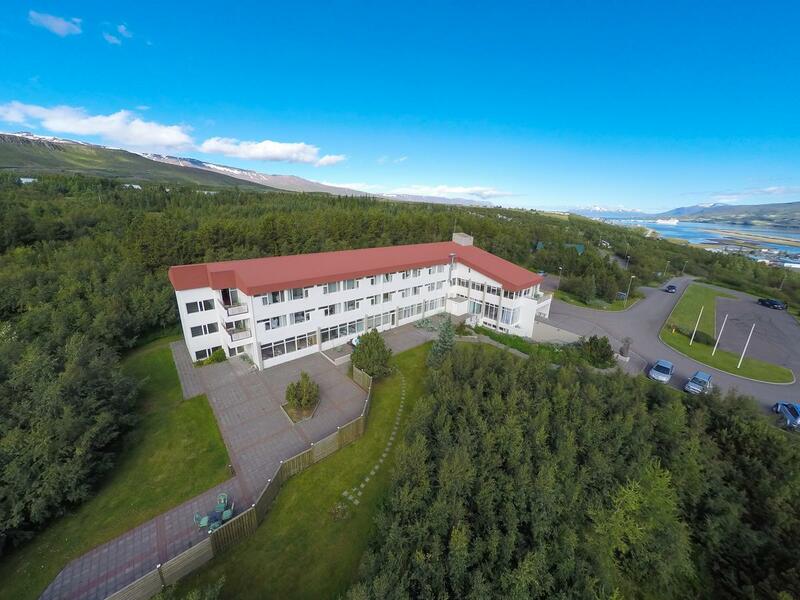 After spending your time in Akureyri you’ll hop back on the mini-bus heading west. From the comfort of your transportation, you’ll be able to admire the abundance of beautiful views in your surroundings. 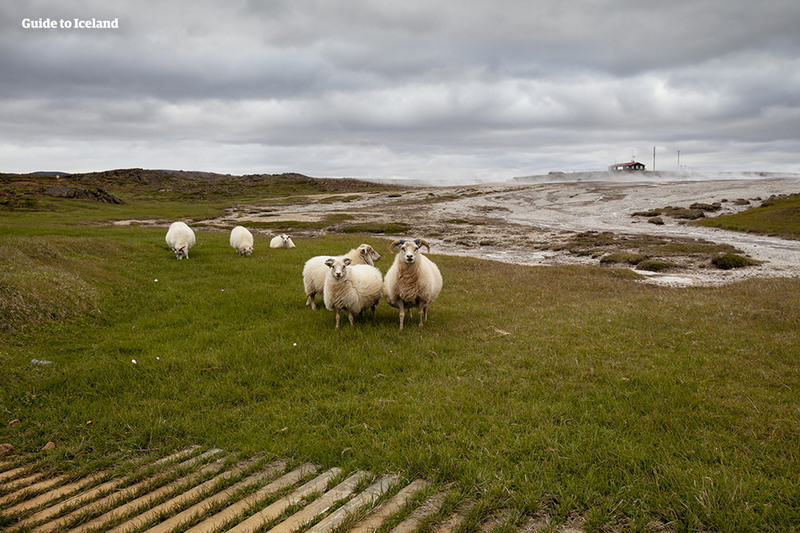 You’ll drive past farmland, mountains and coastlines and it’s very likely that you’ll spot some farm animals; sheep, cows and even the peculiar Icelandic horses. The first stop on your journey westward will be in Húnaflói Bay where Hvítserkur, a 15-meter tall rock stack made of basalt juts out of the ocean, just off the shore. According to legend, this rock formation is a petrified troll. Today Hvítserkur the troll doesn’t terrorize anyone, on the contrary, it’s home to nesting birds. The next stop is Deildartunguhver, a hot spring which has no equivalent in all of Europe. The surroundings feel like an alien landscape, steam rises from the ground and clay and water puddles bubble. Your next destination will be the waterfalls Barnafoss and Hraunfossar. Barnafoss, created by rapids in the river Hvítá, is stunning as it rushes through a narrow gorge. Hraunfossar's name translates to 'Lava Waterfalls' as the water flows down a rocky lava field in a series of rivulets. Next, you’ll visit the small village of Reykholt, which was once home to one of Iceland’s most influential figures, the poet, politician and scholar Snorri Sturluson. He wrote Snorra-Edda, the definitive text on Norse Mythology and other historical documents. You will make your bed for the night in this historical place. On this day the many gems of Snæfellsnes await you. 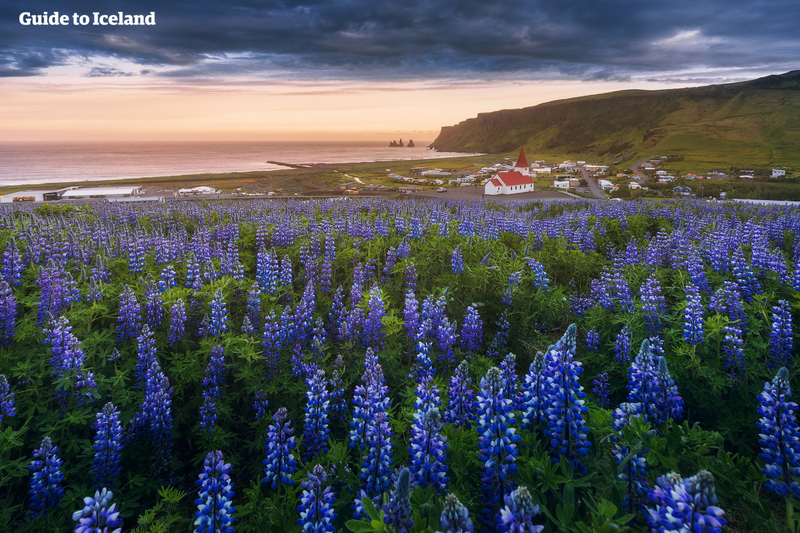 A fantastic region to explore due to its many distinct and breathtaking sights; from Kirkjufell mountain to Djúpalónssandur beach to the glacier itself, Snæfellsjökull. The Peninsula also has many charming towns and villages. Right outside the town of Grundarfjörður is one of Iceland’s most recognizable landmarks; the extremely photogenic mountain Kirkjufell. Fans of the HBO series Game of Thrones might recognize it as 'the mountain like an arrowhead' which the Hound sees in a vision. Kirkjufell is often photographed from an angle which also captures the waterfall Kirkjufellsfoss. Kirkjufell isn’t the only Snæfellsnes landmark that’s been featured in popular culture. 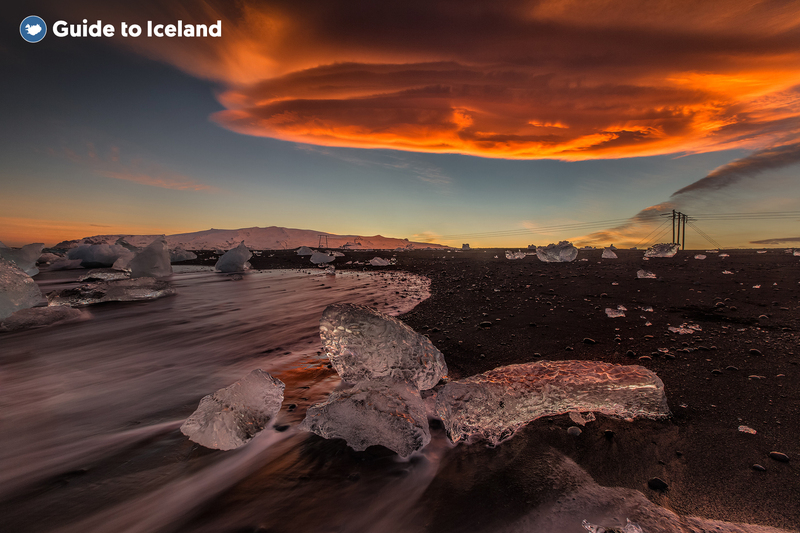 The whole peninsula, Snæfellsjökull glacier in particular, play a pivotal role in Jules Verne’s science fiction novel 'Journey to the Centre of the Earth'. In the story, a scientist believes you can reach the centre of the earth through volcanic tubes in Snæfellsjökull. Sadly the science behind that isn’t exactly sound. However, you have the possibility to add your own subterranean adventure to the day; a cave exploration in Vatnshellir lava tube. You will walk down a spiral stair-case until you’ve descended 35-metres underground. There the 8000-year-old cave waits for you to admire its 200-metres long tunnel of bewitching colours and riveting rock formations. Your local guide will choose their favourite sites on the peninsula to stop at, all of which are delightful to stroll around and photograph. At the end of day 9, you will be driven back to Reykjavík where you will spend the night. 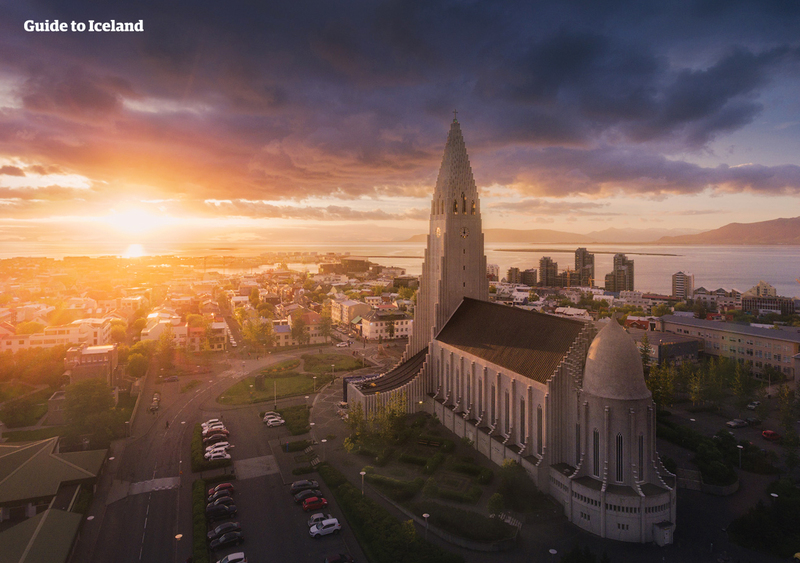 Your last full day in Iceland will be spent in the enchanting capital city, Reykjavík. You will have free time to get to know the capital at your leisure or you could book one of the many tours that operate from the city. Regardless of what you spend your day doing, you’re sure to enjoy this quirky little city. If you didn't visit on your arrival day, you could choose to visit the world-famous Blue Lagoon. 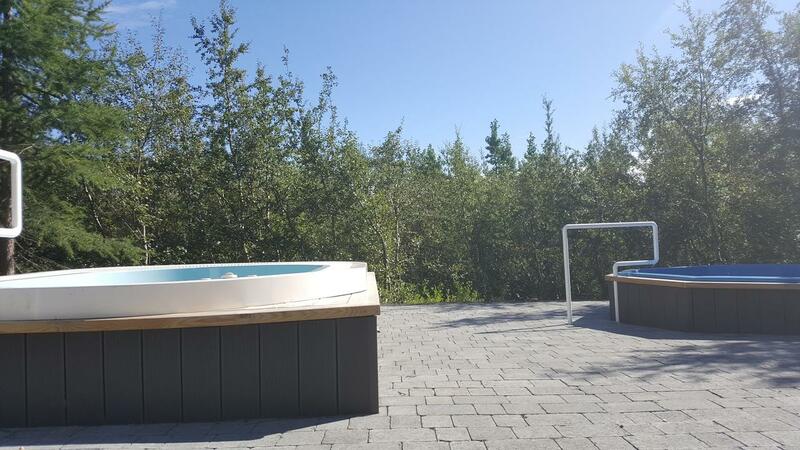 It is the ideal way to relax after eight days on the road. The geothermal waters are rich in silica which are said to do wonders for the skin. For a more adventurous aquatic experience, you can take a tour to Þingvellir National Park and go snorkelling in Silfra. It is a rift, formed in between the European and North American tectonic plates, that is now filled with crystal clear glacial water. You’ll be picked up in Reykjavík and taken to this unique location. If you’re up for putting a snorkel on and diving in, there’s no place like it in the world. You could also use the day and take a tour to Þríhnjúkagígur, a dormant volcano located just outside of Reykjavík. There you’ll have the chance to descend 120 metres inside the volcano's caldera. Exploring the bottom of the crater is a truly a once-in-a-lifetime experience. 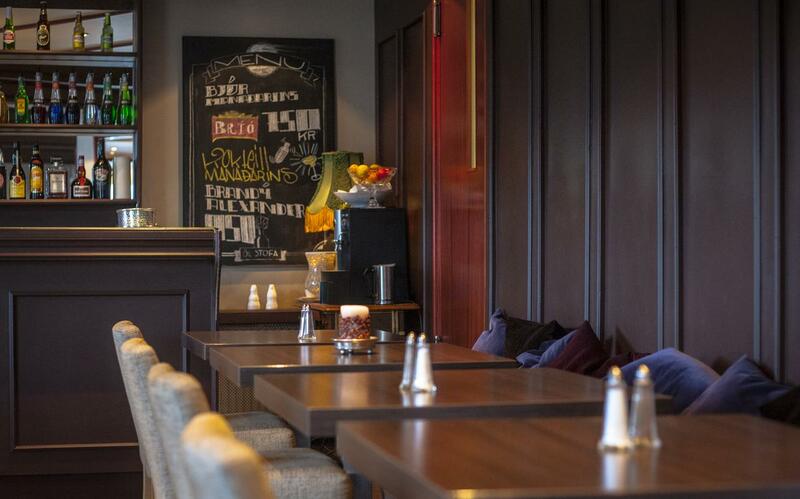 Any spare time you have on departure day can be utilized to soak in the atmosphere in Reykjavík. You can wander around the city parks and quiet streets, browse the shops or visit the birds at Tjörning City Pond. Once it’s time for you to depart, you’ll be transferred to the airport, back past the volcanic plains of the Reykjanes Peninsula. 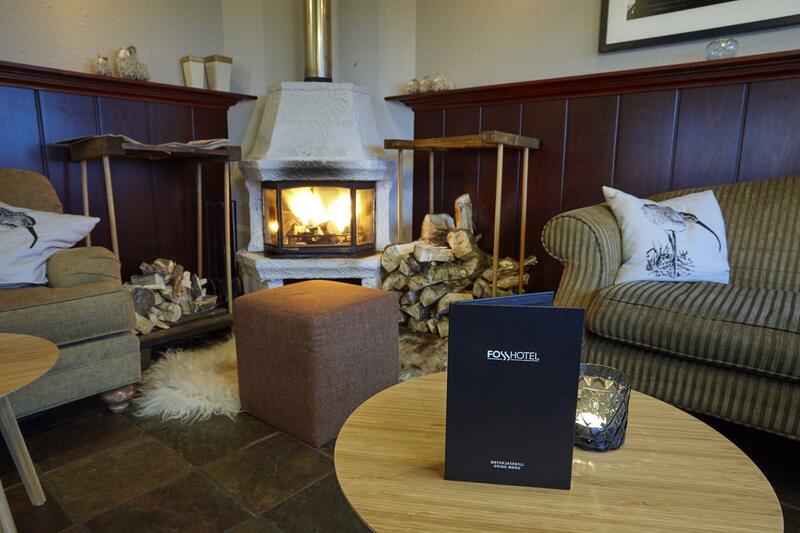 Your flight will depart from Keflavík Internation Airport, back home or on to your next adventure. Wherever you’re going you will bring with you fond memories from your time driving around the volcanic island in the North. See our accommodation levels below and our preferred accommodation partners under each day in the daily itinerary. Super budget level accommodations will be arranged in hostel dorm beds. 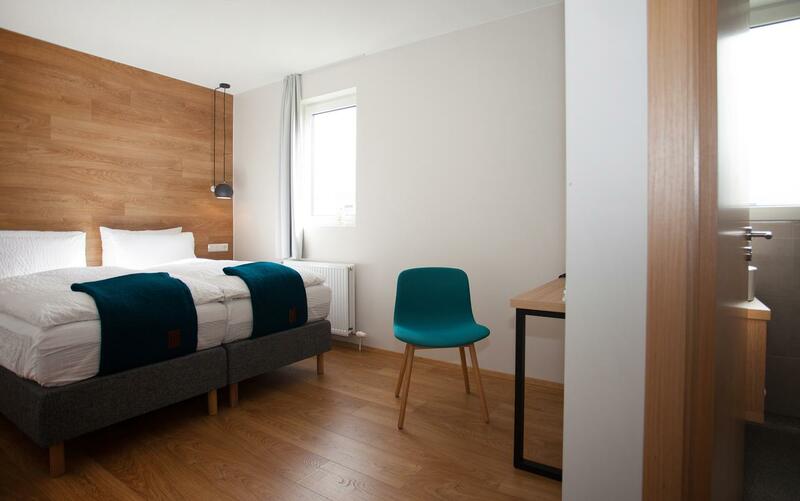 For budget and comfort levels, bookings for one person will be arranged in single rooms, and bookings for two or more people will share a twin/double or triple room(s). For quality level, odd number groups will always be allocated a single room. 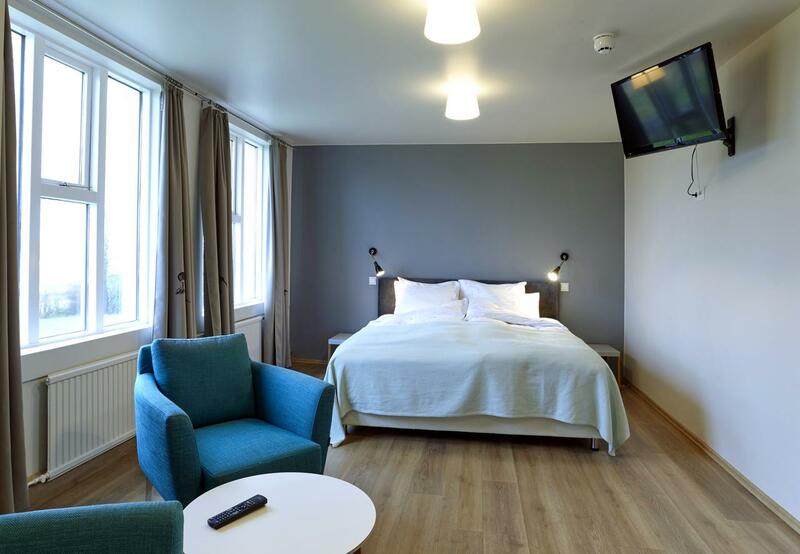 If you are travelling in a group, but prefer a single room, please make separate bookings. Teenagers and children will be arranged in the same room with parents. If additional room(s) is needed, additional costs will incur. For multi-day guided tours, accommodation cannot be upgraded and the levels below do not apply. 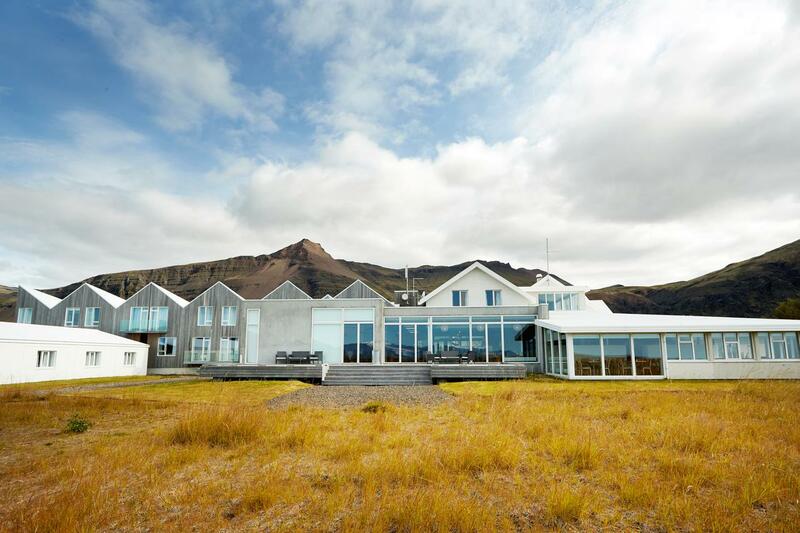 Guide to Iceland will provide you with the best available accommodation at the time of your booking from our preferred partners. If our preferred partners are fully booked at the time of your booking, we will find another suitable accommodation for you of similar level.